After a long dry spell following Star Wars Celebration Orlando in April and D23 Expo in July, fans welcomed further updates on the upcoming Star Wars: Galaxy’s Edge theme park expansions as part of the Galactic Nights event held at Hollywood Studios at Disney World on Saturday, December 16, 2017. 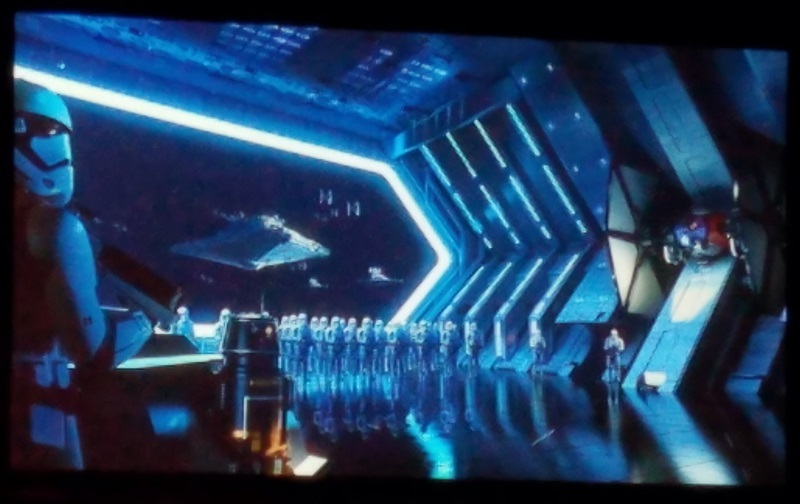 Held four times during the one-night-only celebration of The Last Jedi premiering in theaters, the panel “Inside Star Wars: Galaxy’s Edge” reaffirmed the key talking points about the project and shared some new details and tantalizing hints about what fans will experience when they can visit Batuu in 2019. Following a brief introduction by event host Warwick Davis, panel moderator David Collins took the stage. His enthusiasm for Galaxy’s Edge clearly had not diminished since hosting the panel at Celebration, nor had the difficulty in keeping the secrets he had learned while visiting Imagineering to prepare. 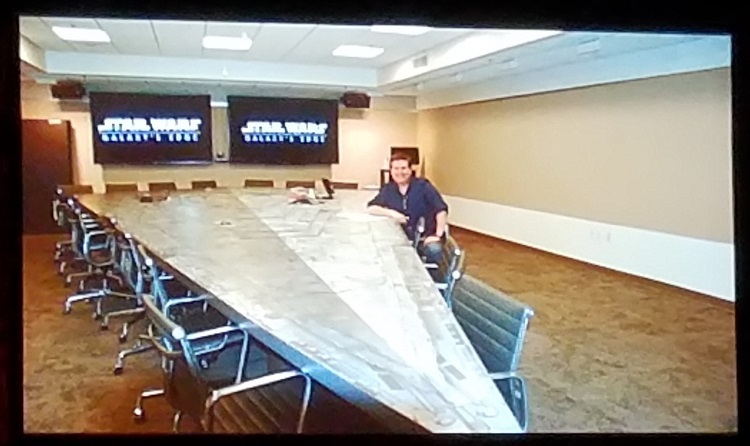 Collins noted that everything about the project is done with the end goal of Star Wars immersion in mind – even the conference room table is shaped like a Star Destroyer. Collins then introduced the four panelists. 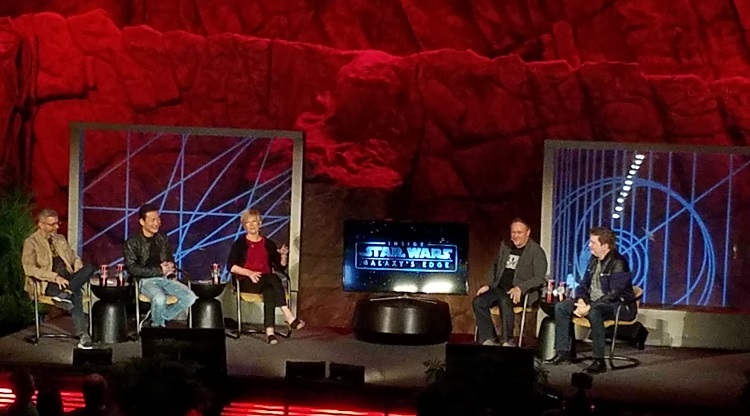 Doug Chiang, VP/Creative Director, represented Lucasfilm alongside three team Galaxy’s Edge leaders from Walt Disney Imagineering: Scott Trowbridge, Portfolio Creative Executive; Robin Reardon, Executive Creative Producer; and Chris Beatty, Executive Creative Director. 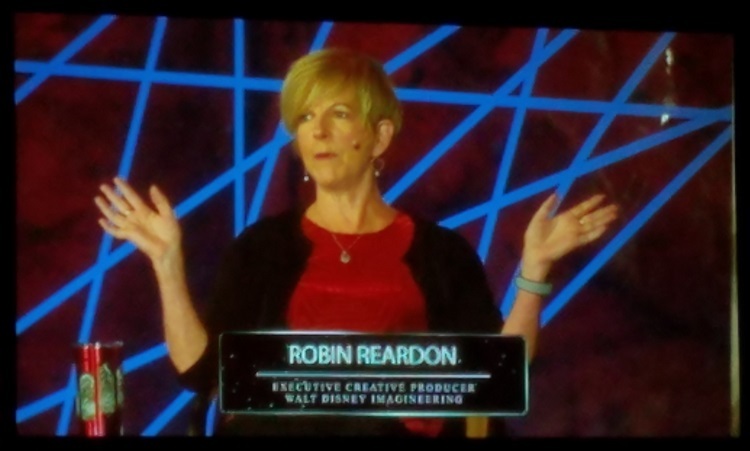 As many in the audience would not have been able to attend the presentations at Celebration and D23, the panel began with a review of the creative principles and project goals for Galaxy’s Edge. 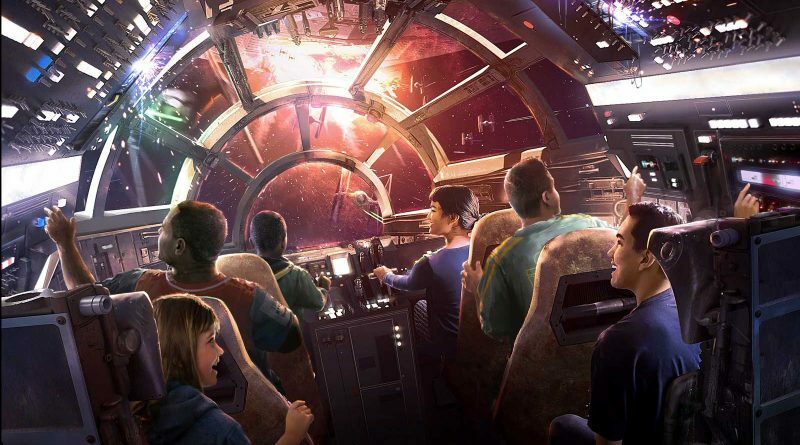 The land will not be simply a fun theme park area, but an immersive and comprehensive environment that brings visitors into the story of the Star Wars galaxy. 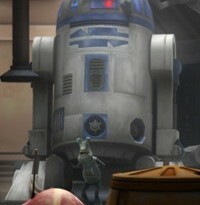 Concept art displayed on the theater’s screens further emphasized the discussion: everything from the architecture and drinking fountains to sights and sounds to roving droids and in-character cast members will be crafted to create a fully in-universe Star Wars experience. 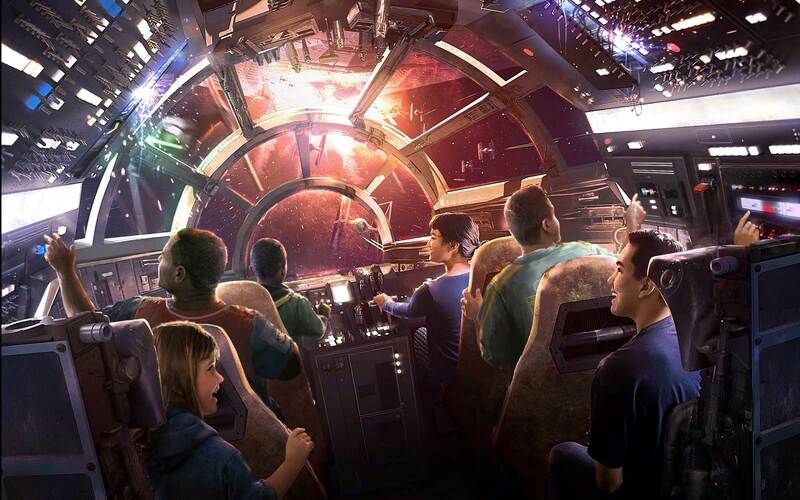 No theme park land could be complete without rides, of course, and the panel highlighted the two showcase attractions in Galaxy’s Edge: one sending you through conflict aboard a First Order warship, the other allowing you not only to ride aboard the Millennium Falcon but also to control its flight and make story decisions that affect the outcome of your adventure. 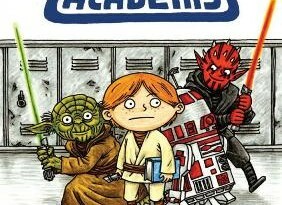 (Want to be like Han Solo? Ditch the cargo!) Visitors will be able to walk down the freighter’s iconic corridors, as well as encounter a full-scale replica of the Falcon. 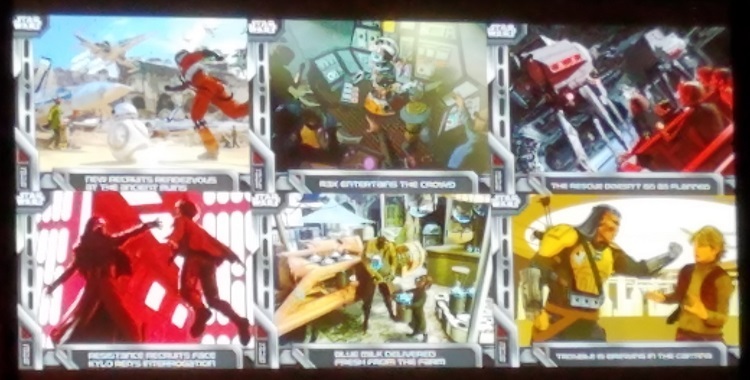 The panelists also hinted that at least one of the rides will leave the confines of Batuu for adventures elsewhere in the galaxy, too. Aerial drone footage recently filmed at Hollywood Studios provided an opportunity to briefly discuss the status of the ongoing construction in both Orlando and Anaheim, with both parks still on schedule to open their Galaxy’s Edge expansions in 2019. Chiang then delved into the artistic design principles that guided everything for Galaxy’s Edge, and they are the same principles Lucasfilm uses across all of its Star Wars storytelling. Chiang used concept art for Vader’s castle on Mustafar in Rogue One to elaborate on the importance of shapes, colors, and other symbolism in Star Wars designs. On the other hand, Chiang explained, designing for a theme park land presents some big challenges compared to designing for a movie. For a film, for example, sets usually are not fully built out beyond the angles needed for camera coverage, backgrounds may be supplemented by disposable temporary fixtures like painted foam set dressing, and ILM’s special effects wizardry can fill in details later on. None of that is possible for Batuu in Galaxy’s Edge. There, everything must be built for 360 degrees of viewpoint, sturdy enough to withstand the constant usage of high-volume attendance at the theme parks, and detailed enough to hold up in real time to close in-person inspection by the visiting fans. On the movie set for Rogue One, the Rebellion’s X-wing starfighter corps in the hangar could consist in part of one-dimensional wooden frames of the right shape, painted to provide the requisite three-dimensional perspective as background imagery in a shot. 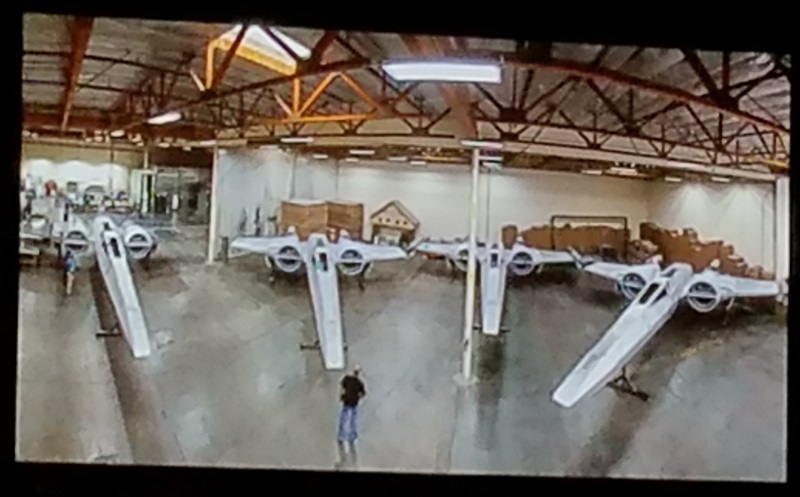 For Galaxy’s Edge, Chiang said, “we’re building a fleet of X-wings for real,” including “quarter-inch aluminum over a steel frame, just like a real aircraft,” with every detail crafted to ensure authenticity and realism. While much of the inspiration for the designs of Galaxy’s Edge comes from the movies and other Star Wars content over the decades, as well as previously unused concept art by Ralph McQuarrie, the Imagineers also visited real-world locations to stir their creativity. The narrow passageways of the marketplace, and the vibrant array of colors that fill it, find their origins in places likes Istanbul and Morocco. 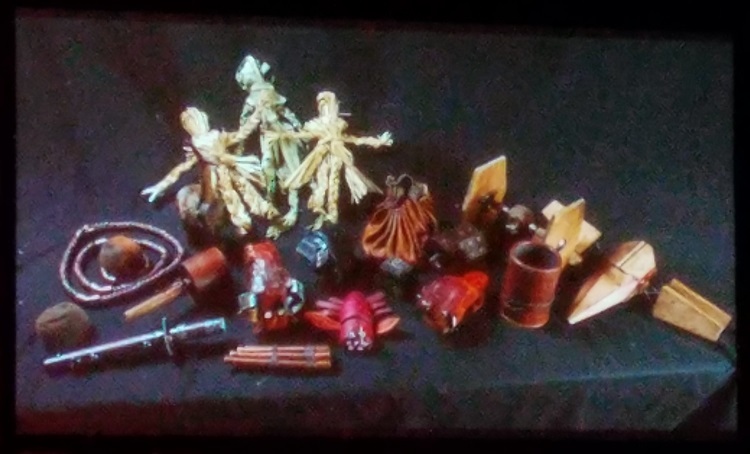 The panel ended by sharing new information about one shop in the Batuu market: a Toydarian shopkeeper who sells in-universe Star Wars toys. From AT-ATs to action figures, these toys will have the look of hand-crafted goods. Now you won’t be limited to taking home a souvenir from Disney World – you can travel home with trinkets right out of the galaxy far far away. Trowbridge acknowledged that 2019 still feels like a long wait to fans who are anticipating it so eagerly. 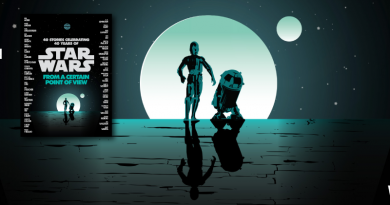 To help ease the wait, he announced an upcoming line of Galaxy’s Edge trading cards. The art and content on these cards will introduce fans to Batuu, its locations and denizens, and other story components that will be revealed in full when Galaxy’s Edge opens. Look for more details on the trading cards in early 2018. If you’re interested in seeing the full Galactic Nights panel, Inside the Magic has a well-shot video on their YouTube channel. When you’re headed back to the theater to see The Last Jedi again, keep an eye out to see if your local theater is running the pre-show Noovie content. At least in South Florida, the late-December Noovie clips include a look at the ongoing changes at Hollywood Studios, with Scott Trowbridge discussing the goal of creating immersive experiences in Mickey & Minnie’s Runaway Railway (the new ride soon to open in the former space of the Great Movie Ride), Toy Story Land, and Galaxy’s Edge.